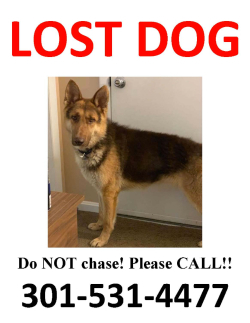 German Shepherd dog went missing in Downingtown, PA (near Johnsontown Park) on Sunday, 3/24/19 @ ~2:30pm. 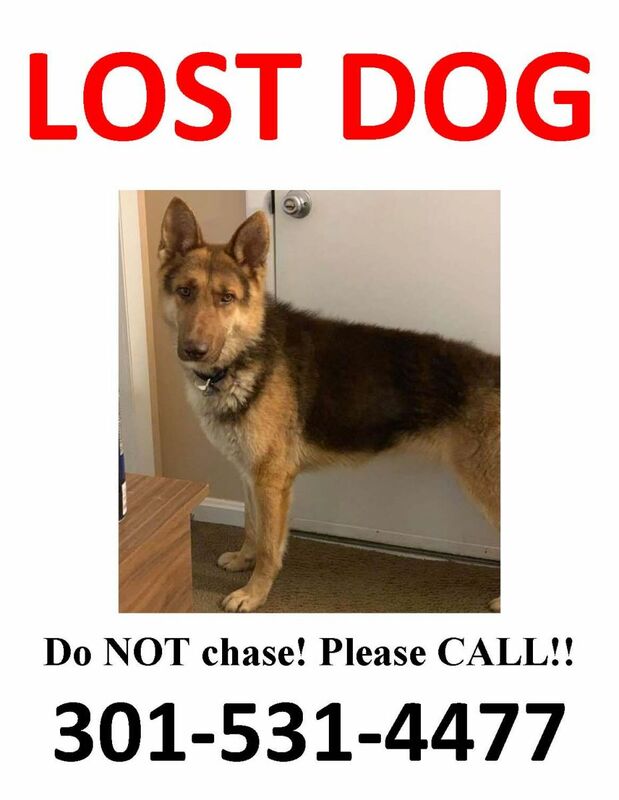 If you see the dog, please CALL the MAGSR Emergency Hotline # on the flyer (301-531-4477) immediately with date/time seen, exact location seen and direction the dog was going. For the safety of the dog, please do NOT post specific details about any sighting to social media - please CALL the #. 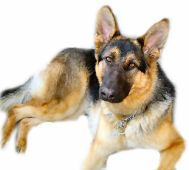 The dog is not socialized with humans and is extremely fearful – he will not come to anyone. Under no circumstances, should anyone call out, approach, try to catch or run after the dog – do not make eye contact - please do not chase! We appreciate the community's help, and need the sighting information ASAP! Thank you for your support and understanding!! 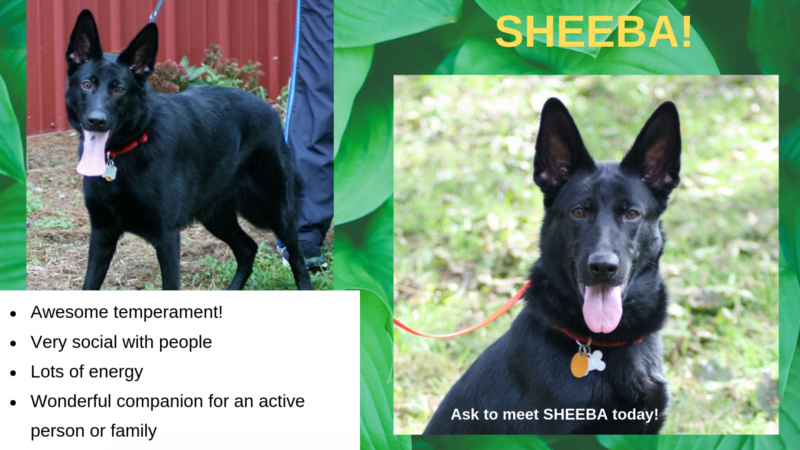 MAGSR is Stepping Up to Save GSDs in Georgia from a Horrific Abuse & Neglect Case! Hundreds of intact GSD's have been living on a property in horrible conditions; outdoors with no or limited shelter, mud, feces and urine everywhere. No medical care, not enough food or clean water. Sick dogs left to die, dead carcasses laying around left for the starving dogs to eat. Of course, MAGSR did not hesitate to initially rescue 38 dogs from this case. 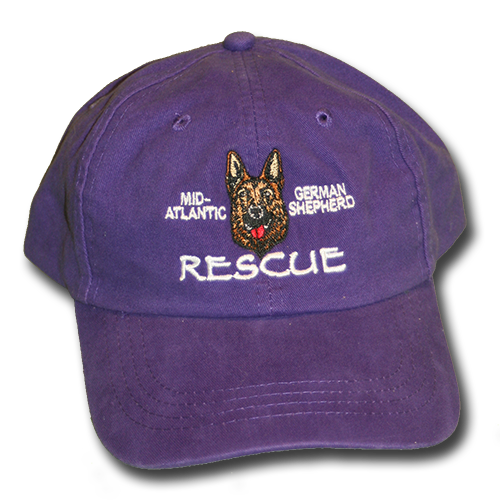 Welcome to the Mid-Atlantic German Shepherd Rescue! 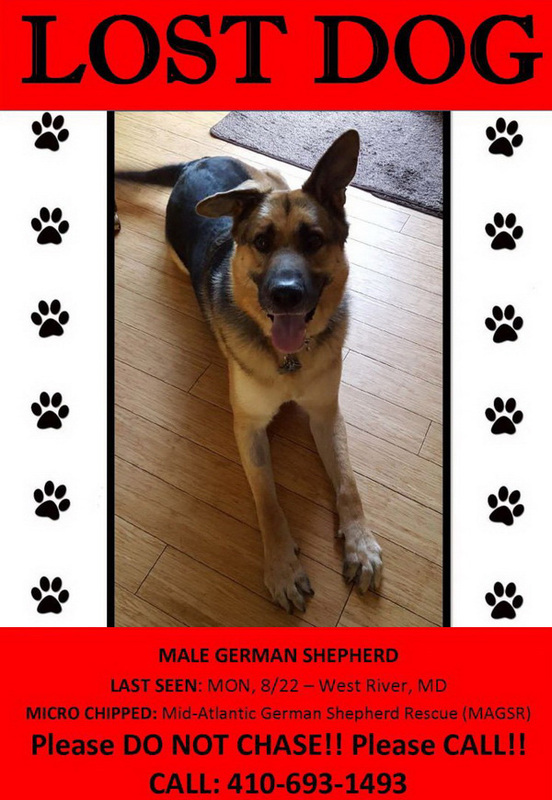 We are a non-profit rescue dedicated to German Shepherds and German Shepherd mixes. If you are looking to add a new family member to your loving home in the Mid-Atlantic area, please visit the Adoption page. 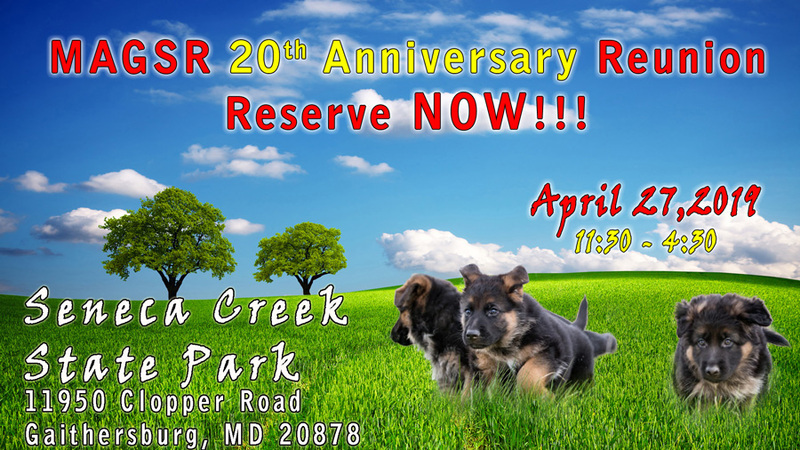 We have dedicated 20 years to helping our dogs find homes. Over 4,050 adoptions since 1999! Help us make that number much higher! Adopt, Foster, Donate, Volunteer. If your employer matches charitable contributions, please ask them for the form to send to MAGSR so you gift can be matched, effectively doubling your donation. 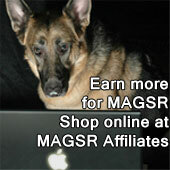 Become a MAGSR Fund-Raiser, Shop at Amazon! Your Amazon session won't mention MAGSR but we do get credit & it costs you nothing! ...and all the MAGSR pups who have found their forever homes. ...and more MAGSR dogs with something to say. ...and all the MAGSR pups who have gone on. We miss you so much. 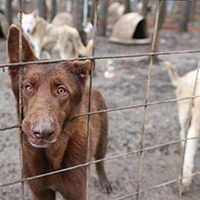 Rescuing 38 dogs from the Horrific Georgia hoarding case is straining MAGSR's resources. One way you can help is to donate a Kuranda ShelterBed. These highly durable beds are made specially for animal welfare. They provide a clean, safe, and comfortable resting place for our dogs. Please click to donate a bed! These beds will make our rescued dogs very happy! 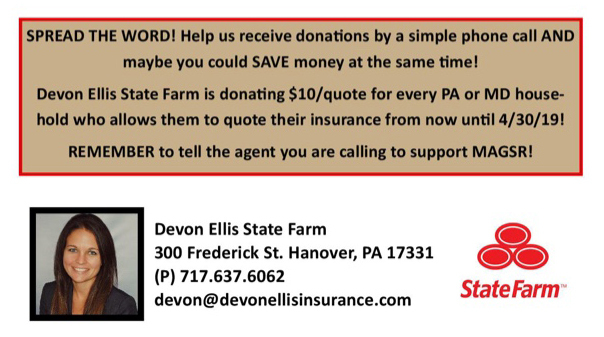 Thinking about donating your car to charity? Donate your car here and help MAGSR! Use Coupon Code MAGSR14 to save $15 on a Pets911 QR Tag and earn an additional $5 for MAGSR. All of our volunteers and supporters who seem to come through when it counts the most...the dogs love you for it!